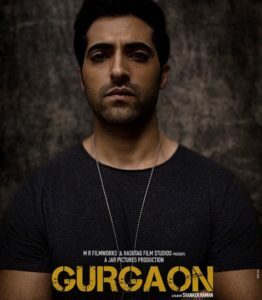 The gleaming glittering surfaces of Gurgaon which stands between the violent hinterland of Haryana and the Capital politics of Delhi, renders itself with ironic radiance to the themes of entrepreneurial greed and violence in cinema. Atul Sabharwal’s Aurangzeb was an underrated attempt at understanding the strife that controls the monstrous affluence of the constantly-evolving region. 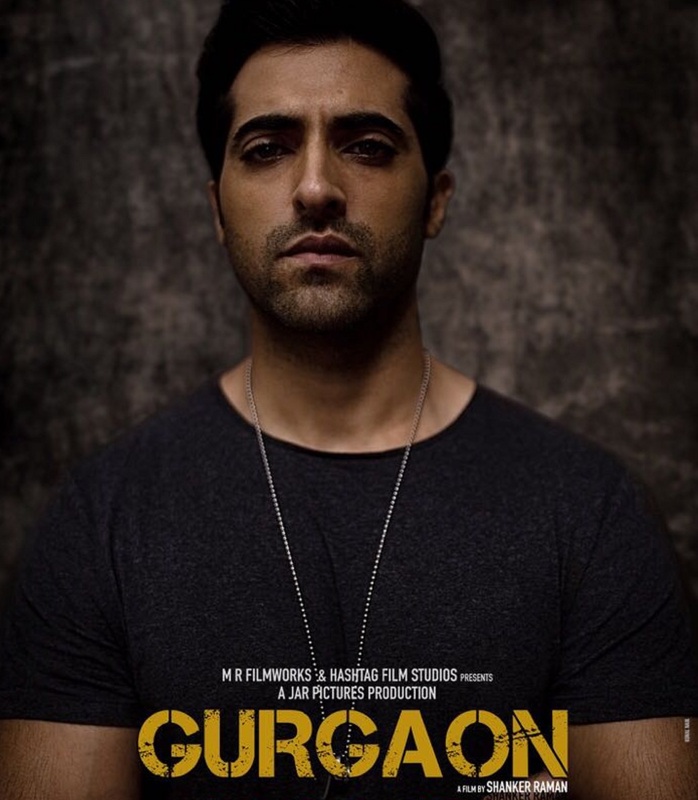 Director Shankar Raman’s Gurgaon gets it right immediately and ineradicably. This is a land of opportunity, and opportunism. There is a sense of immediacy and doom in the storytelling which coil themselves around the viewer from the first frame in such a persuasive manner that we are sucked into the tale although some of what happens here is done more for effect than out of an inner conviction. But the absence of credibility never comes in the way of the storytelling that achieves an unconditional littoral of pounding impact even when we see the bullet coming. Gurgaon reaches into the darkest interiors of its character’s yearnings and is not afraid to come up with unsavoury home-truths. Pankaj Tripathy, playing a Brando-esque business tycoon whose legitimate professional activities barely conceals his inner world of simmering murkiness, sets the pace for other actors to follow. Tripathy who has so far played only economically challenged desperados with a touch of humour and irony, plunges into his first truly dark role (from the Dhoti to the Dressing Gown, so to speak) with a vengeful intensity bringing to the patriarch’s part a Hamletian ambition guilt and destruction that never overwhelms the narrative. Tripathy’s Kehri Singh is a study in unscrupulous self-advancement. He doesn’t hesitate to brutally kill his brother. But is a doting fussing father to his foreign-returned daughter Preet (played with relative effeteness by Ragini Khanna). But it’s Akshay Oberoi playing the outcast son who steals the thunder lighting and what-not. It’s a big-bang performance, implosive and bursting at the seams with unspoken bitterness. Oberoi plays the truant son (a cliché in the crime genre) with much empathy and little compassion. In one sequence we see him brutally violate a prostitute in a bath tub. We know what levels of violence Nikki is cabable of. Nikki doesn’t disappoint. While Tripathy and Oberoi tower above the rest of the cast in the skyscraping crime drama, there is no dearth of engrossing performances throughout the simmering stunning span of the tense storytelling. In fact one of this remarkably tactile thriller’s USPs is its progressive tumble of interesting characters. About 35-40 minutes into the film we meet a young mild-mannered South Indian rock musician Anand Murthy (Srinivas Sunderrajan). Do your business and come back quickly. Where do these desperate specimens of crime-committing renegades come from? Gurgaon trails the bloodied path with diligent persuasiveness. It doesn’t flinch from uncomfortable family secrets. And when these secrets tumble out in an unstoppered flow, the narrative sighs in deep languor while the characters make a mess that they can never hope to clean up. Till the very end of this violent saga of internecine devastation, we are given clues and glimpses into minds and hearts that are governed by greed and felled by opportunism. The editing (Shan Mohamed) gives the narrative the appearance of a wound-up clenched crisis. The cinematographer Vivek Shah captures the city of ambition, greed and destruction with a flamboyance that secretes a deep hurt and wound. These are characters born to doom. God bless them.